Small like no other when folded (52 x 44 x 18 cm). Fits in the smallest spaces and in the overhead compartment of an airplane. One-hand folding, unfolding... and driving 4-wheel suspension. Exclusive soft-drive system: no need to lock the front swivel wheel, even on rough terrain. 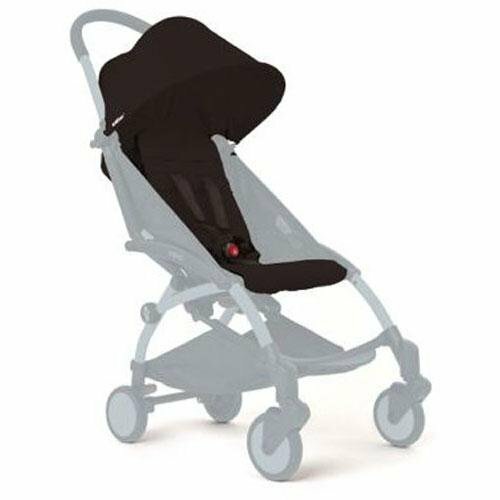 Includes color pack and frame for complete stroller. Small like no other when folded (52 x 44 x 18 cm). Fits in the smallest spaces and in the overhead compartment of an airplane. One-hand folding, unfolding... and driving 4-wheel suspension. Exclusive soft-drive system: no need to lock the front swivel wheel, even on rough terrain. Includes color pack and frame for complete stroller. If you have any questions about this product by Baby Zen, contact us by completing and submitting the form below. If you are looking for a specif part number, please include it with your message.